Oxford Golf Resort, a quintessential 18 hole private golf resort spread across 150 acres within the 1000 Acres township launched today India’s first Leadbetter golf academy adding a historical page to the golfing chapter in India. The Leadbetter Golf Academy will spearhead the way in India as the most technologically advanced training facility boasting of the very latest equipment. The Leadbetter Academy at Oxford Golf Resort will provide expert tuition and coaching to all levels and ages of golfers. Whether a beginner, weekend golfer or professional, they have a programme to suit all needs. From one day “Express” schools to long term “Evolve” package, their highly trained Leadbetter instructors will take golfers through an individual blue print for success. The Academy at Oxford will offer Trackman 4, Balance Plates, K/Vest, Sam Putt Lab and Swing Catalyst Online Video Analysis for the learning benefits of golf students. The David Leadbetter Golf Academy is now open at Oxford Golf Resort and more information regarding registration and other FAQs can be found here: http://oxfordgolfresort.com/. Oxford Golf Resort, a quintessential private resort spread across 150 acres offers a range of handpicked amenities to suit your lifestyle. With a picturesque golf course, a fully-equipped Leadbetter branded 42-bay golf academy and an assortment of adventure activities, we ensure you a worldclass experience. Top it all off with classic wooden chalet & tented accommodations for an overnight stay and there you have quality resort-living!  Rated Top 10 Golf Course in Asia Pacific – Asian Golf Monthly.  India’s largest golf training academy – with a 3 tier 42 bay driving range.  Annual footfalls of 28000 golfers and 100000 members/guests.  Banqueting space attracts upto 3000 PAX 100 days in a year.  Residential facility of 17 keys operational and 72 keys by mid-2017 attracting footfalls of 20000 families.  Course attracts 35 corporate tournaments with footfalls of 10000 golfers/ associates.  Oxford Sponsors 6-8 Amateur championships of IGU, attracting press coverage.  Oxford is home to 2 pro-golf events annually, attracting press & media coverage.  Oxford is home to the IPL cricketers.  Board room/conferencing facility is home to major corporate programs all year around.  Right in the heart of the Oxford Golf Resort, lies OX Adventures – Cocooned amid the scenic beauty of rolling hills, just minutes away from the city. It’s the perfect place for nature-lovers and adrenaline junkies alike! 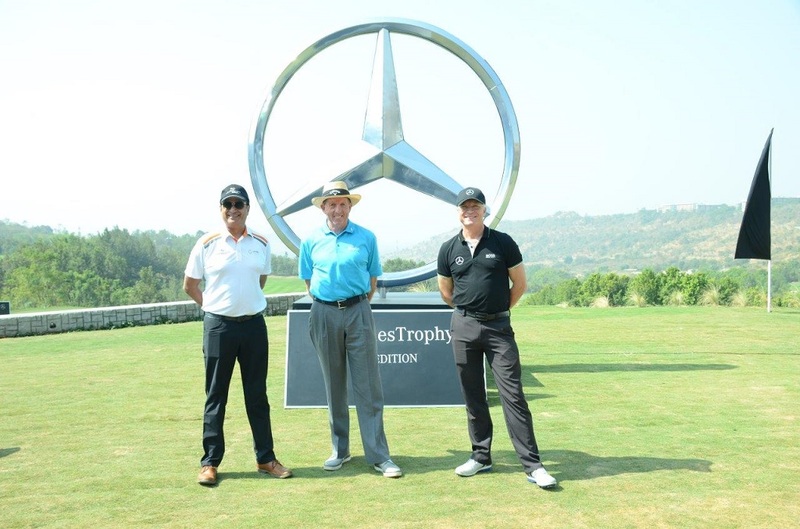 Pune: The country’s leading luxury car maker, Mercedes-Benz India teed-off the 2017 MercedesTrophy in Pune at the Oxford Golf Resort. The annual tournament is in its 17th edition in India and it will be played in a span of 24 days engaging about 2500 golfers in the country. Over the years, MercedesTrophy has become the most coveted participative golf tournaments in India. MercedesTrophy makes it to one of the world’s largest sporting events which witnesses’ participation of approximately 60,000 golfers from across 60 countries, all vying for the prized title. All the 36 winners from the qualifying rounds being held in 12 cities – Pune, Ahmedabad, Mumbai, Bengaluru, Hyderabad, Coimbatore, Chennai, Kolkata, Chandigarh, Gurgaon, Jaipur and Greater Noida will then compete at the National Finals at the Oxford Golf Resort, Pune in March. Three finalists who qualify at the National Finals will get a lifetime opportunity to participate in the MercedesTrophy World Finals at Stuttgart, Germany in September 2017. These finalists will get a chance to compete against the best of talents from all over the world. The entry into the National Final is limited to Mercedes-Benz owners only. 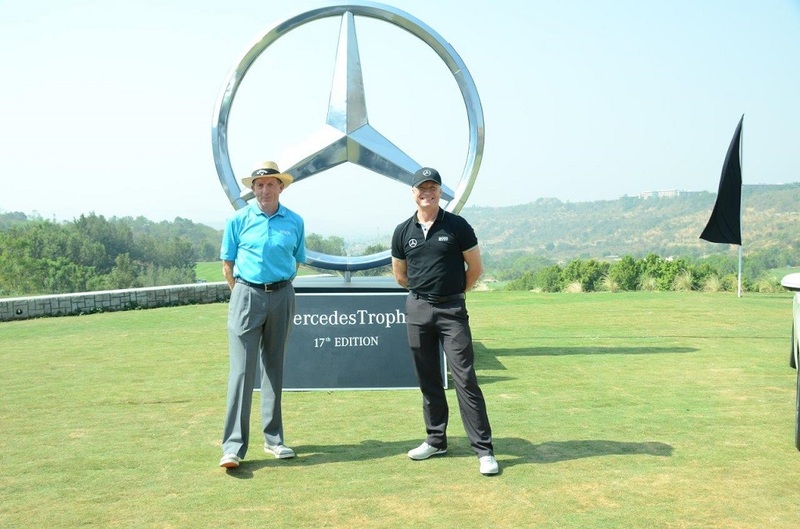 In this annual Indian edition, the sought after ‘Drive to Major’ contest will see one winner travel as a guest of Mercedes-Benz India to the British Open this July, adding to the excitement. A unique contest for ‘Best Maintained Car’ on each day of qualifiers will see one lucky winner get a direct wild card entry to the National Final in Pune. Mercedes-Benz also boasts of prominent presence in professional golf through its association with Major Championships – British Open Championship, Augusta Masters and PGA Championship. The MercedesTrophy has a legacy of more than two decades as the biggest and finest golfing event in the world. Now in its 17th edition in India, the prestigious tournament offers Indian golfers the coveted opportunity to compete internationally even as they rub shoulders with some of the game’s most successful proponents. Globally, over 60,000 golfers from 60 countries vie for the top honours in the tournament that defines sports, exclusivity, entertainment and glamour, with a class that epitomizes Mercedes-Benz. Established in 1994, Mercedes-Benz India Pvt. Ltd. pioneered the luxury car market in India and boasts of more than 130 years of cutting edge innovation in the luxury automobile industry globally. 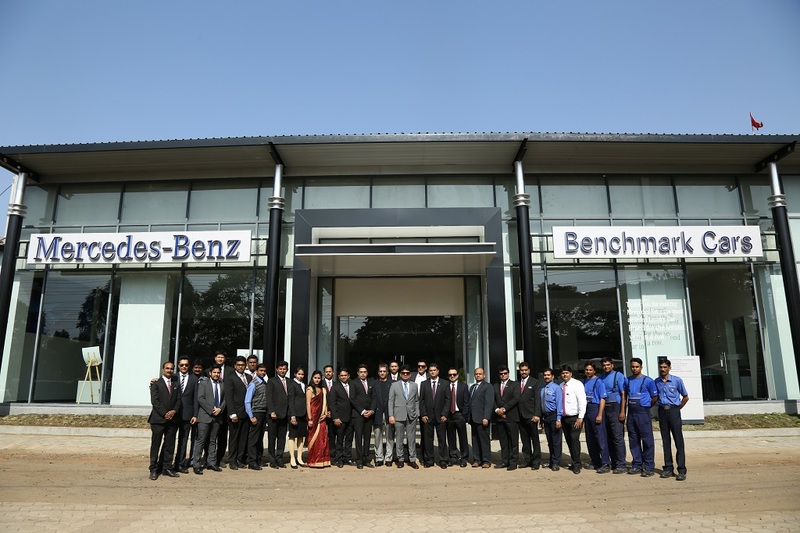 Set up in 2009, Mercedes-Benz India’s world class production facility is spread over 100 acres in Chakan near Pune. Since June 2015, Mercedes-Benz India also commenced production from its new expanded production facility located in the same premises. The production facility now carries an investment of INR 1000+ crores and has the largest installed production capacity for any luxury car maker in India. Mercedes-Benz India product portfolio comprises the locally produced Mercedes Maybach S 500, SClass, E-Class, C-Class, CLA luxury sedans and the GLA, GLE and the GLS luxury SUVs. The CKD GLC is the 9th product added to Mercedes-Benz’s local production portfolio. Completely Built imported cars portfolio includes the A-Class, B-Class, CLS, E-Class Cabriolet, S-Class Coupé, GLC and the S 600 Guard a range of other Guard vehicles etc. The product portfolio also comprises the iconic off-roader Mercedes-AMG G 63 as well as a wide range of other Mercedes-AMG performance cars like the AMG CLA 45, AMG C 63 S, AMG S 63 Coupe, AMG GL 63, AMG S 63, AMG GLA 45, GLE 450 AMG Coupe, AMG GT S sports car and the AMG SLC 43. Given Mercedes-Benz’s continuous success in India across myriad spectrum of sales, network, operations, services, finance, etc. 2016 was a cornerstone to inculcate the spirit of winning despite market challenges. ‘Winning with Mercedes-Benz’ philosophy is also derived from the unrivalled success created by the Mercedes-AMG Petronas F1 team in the highly competitive Formula 1 in the past years. In 2016, Mercedes-Benz initiated a range of innovative customer oriented initiatives which were ‘winning’ in nature and underlined the brand’s strong customer centric approach. In 2016, Mercedes-Benz began its ‘winning’ motto with the launch of the fascinating GLE 450 AMG Coupe, as the first product of the year. This was followed up with the introduction of the Mercedes-Maybach S600 Guard which is the costliest product from Mercedes-Benz India fleet, yet. Mercedes-Benz also introduced the S400 flagship sedan and also the luxurious SUV GLS 350 d. The quintessential SUV that strengthens the SUV portfolio of Mercedes-Benz is the GLC and this was launched in June. The sixth launch of the year, AMG SLC 43 got launched in India nearly after four months of its international debut with the 43 nomenclature for the first time in India. The seventh launch was the petrol variant of the highest selling SUV, GLE 400 4MATIC. 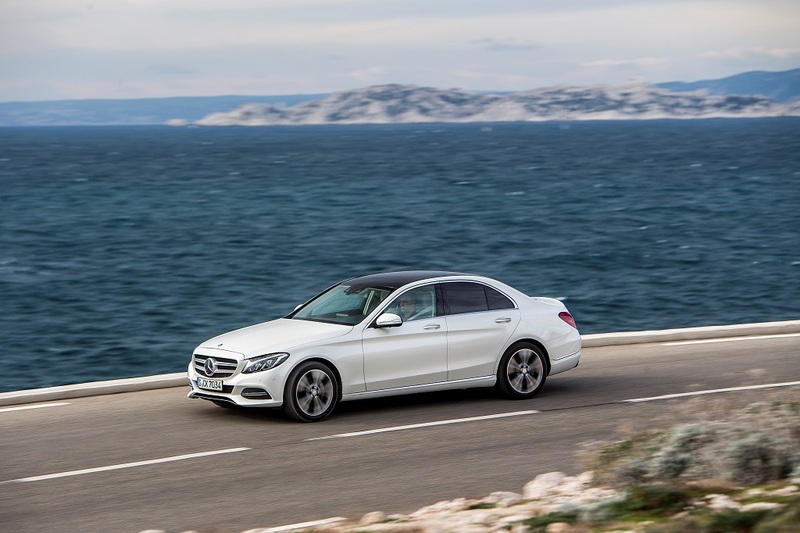 The versatile GLS 400 4MATIC with a petrol variant became the eighth launch of the year. The GLA 220 d 4MATIC ‘Activity Edition’ with 4MATIC four-wheel drivetrain became the 9th launch for 2016. The open top luxury motoring has been redefined by two fascinating products without a predecessor in India, these are C-Class Cabriolet and the S-Class Cabriolet, the 10th and the 11th launches respectively. The 12th launch of the year was the new CLA that revamped the luxury compact sedan segment. The last launch of the year was the pacey AMG C 43 4MATIC. Underlining the service excellence achieved in India, the company has also been ranked number one in the prestigious J.D. Power Customer Service Index 2015, among all the luxury brands for the second year in a row. Mercedes-Benz India also registered a historic 32% year-on-year growth by selling 13502 units in the Jan–December 2015 period and became the No. 1 luxury car brand in terms of sales volumes. Mercedes-Benz scripted historic sales for the 2015-16 Fiscal Year, selling 13,558 units between April 2015 and March 2016. The company maintained steady sales growth by selling 9,924 units during January-September period. The brand has won as many as 30 prestigious automotive awards conferred by different media houses across India, the highest won by any luxury automotive brand in India this year. Mercedes-Benz launched one-of-its kind, innovative service programme, ‘My Mercedes-My Service’. With the launch of this programme, Mercedes-Benz aims to completely redefine the after-sales experience by digitizing service process and create an unparalleled benchmark in the luxury car service do-main. ‘My Mercedes-My Service’ programme comprises industry first initiatives like ‘Digital Service Drive’, ‘Premier Express Service’ and innovative ‘Service Products’.